piracy Piracy in PVE is useless! Well, then. What can be done is we can modify this a bit to better suit the war on PVE servers. * Note: Now, I haven't done an actual company war as of yet to see what we can actually do (or if it's actually enabled in-game... even though the option is there)... so I am unsure of what it all entails at the current time. So, some things I might suggest, may already be available. - Company buildings cannot be destroyed if made from stone (walls/pillars/ceilings/roofs/foundations/doorways/gateways). - All Doors and gate doors can be destroyed (not the doorway or gateway). - Storage boxes can be looted (maybe for Piracy Tree... perhaps adding a Lockpicking skill and lock picks to be used. Stronger boxes need higher lockpicking skills, adding to the need of having Piracy Skills and also adding in different types of storage chests. This also benefits the Piracy feat of being able to see inside locked storage boxes). - Tamed Animals can be killed (obviously). - Land Flags are able to be declaimed/claimed by the enemy, using the current land flag rules, during the War event (this negates the inactive timer) if left unchallenged. - Can change the "War Prep Period" to 48-72 hours to allow ample time for people to be notified, do planning, scouting and preparation. - Allies can choose to participate in the war. However, only the people and their ships can be killed while in the Warring Companies Territories. Their land, buildings and storages are not accessible (just falls under normal PVE rules). Allies cannot do damage to the enemy company unless they are within the territory of the warring ally or the warring enemy during the war period (this will eliminate griefing on open ocean). With an MMO game like this, it can't take into consideration everyone's work schedule. Things will happen when you are offline. That's why having a well rounded company and allies can help during the war period. Also, having a war that lasts for 24 hours, gives ample time for participation by everyone. This kind of war would help with competing companies for territory or resources and such. It will help to eliminate companies that have become mostly inactive instead of relying on sever-side countdowns and waiting weeks for stuff to "disappear". The PVP portion is temporary in this kind of PVE war. But it gives player companies something to strive for. To make allies and work together like a PVE server should be... instead of all of us basically being merchants for each other and fighting SoTD constantly. There needs to be unity, but more importantly, it needs to be fun and remain that way. The PVE servers are lacking the action-packed adventure and it doesn't give much for players to strive for except for end game content. What do you do after that? There needs to be a better company warring system if they are going to have it in the game on PVE servers. This is geared toward being a Pirate Game, afterall. * Note: In the previous post, I mentioned a 24 hour treaty period after the war ends. This was wrong. It's actually a Treaty Period of 4 days. There is phone game that I play that allows our "company" to declare war on others. When war is declared, the war doesn't start for 24 hours. Call it a "War Preparation Period". No one is allowed in each others territory and cannot attack each other for the War Prep period. When a "company" leader or "admin" declares war, everyone is notified. The entire server is notified as well as each involved "company" and people, directly. Also, there is no "permission" needed to declare war. There is an icon that appears on the alliance screen to notify that alliance (aka company) of the status of any wars that are in process and shows what stage it's in, and it includes a countdown timer for each stage. (In the case of Atlas, perhaps show an icon on the HUD of the people in the company so they will know about the war for the duration from declaration to treaty period.) The actual war lasts 24 hours. When the War ends, there is a 4 day "Treaty Period" where neither side can attack one another, but can move freely throughout each others territory (like normal). When the "Treaty Period" is over, war can be declared again if either side wishes... and the process is started over. I feel that this can work for people like us on PVE. Of course, these "Rules Of Engagement" can be modified to suit the game better if needed. For example, maybe only letting the actual war last 6-8 hours, rather than 24 hours... if people aren't happy about the 24 hour period. However, the 24 hours, (in my opinion) I feel would be just fine to ensure everyone gets a chance to participate. As we all know, some of our players are in different time zones. About the abandoned ships... Perhaps what should happen is that the ships take a higher rate of decay damage when in other companies territory... regardless if anchored or not. Your own ships anchored in your own territory should take no decay damage at all. But the flag situation needs to be addressed with the overlapping issue. Example: An un-allied company was able to build a structure on my land, right next to one of my flags, because they were able to take a nearby sea claim that overlapped. The circles should be made to just blend together. This will make the maps easier to read as well as this problem would not be an issue. #1. I am aware of the reasoning behind the floating issue. However, there should be a better way to handle it, rather than glitching out a character. Example: Code it to kick the person (or animal) off the ship automatically, rather than making them stuck until death or a grappling hook rescue by another player. #2. I would be glad to declare war on the company that has had its ship parked in my harbor for weeks on end. The problem is, you can only declare war on a company if you actually catch up to a person from that company so you can click on them to declare war. You don't have that option for a seemingly abandoned ship. The ship isn't abandoned if they spawn on it every once in a while to "reset" the timer before it disappears. And if you don't catch that one person running around your island, you can't declare war on the company. This is a flaw. That's why I recommended treating ships as flags. Just like Land Flags as they are now and can only be boarded after the decay timer runs out. Also, we should be allowed to declare war on a company by typing in the Company ID if there are no people around from that company. Blue #3. Salvage ships? Salvage what ships? As being on a PVE server, finding ANY ships to salvage are very few and very very far in between. If the only way a player ship sinks, is by SoTD or they scuttle it (or the extremely rare occasion it sinks from natural phenomena), there isn't very much use for the Diving Suit and abilities related to the Plundering Skills in the Piracy Tree. It just isn't practical on a PVE server the way the setup is right now. Also, seeing what's in a storage box is nearly just as useless as the Diving Suit is for the PVE server due to the same issues as the Plundering skills and the extreme lack of shipwrecks to even find to salvage. The last skill in the Piracy Tree is absolutely useless. There is no point in buying that skill because you can't even board ships to claim them, let alone being able to declaim ships faster. Green #3. Implementing a patch to "remove" inactive ships is fine. However, it won't work for ships that are spawned on every once in a while to prevent this from happening. Which means people can leave a dozen boats in your area, blocking off your own ships from leaving, essentially creating a blockade, that you can do nothing about, for an indefinite amount of time. #4. I'm making suggestions based on the current flaws that are in the game right now that mostly effect us in the official PVE servers. Things need to change to balance the game out for the official PVE server. Thus my recommendations on possible fixes. Do you understand, now? I have taming and Piracy. As a pirate, I can make cages, nooses, handcuffs, etc. But the last ability in the Piracy Tree... is USELESS in PVE. How can I claim a ship that I can't even get on? Instead we get the floating "bug" and you can't do anything except die or hope someone grapples you out. Also, having to knock someone out to handcuff them... sure... that's cool. But they can still run away when they wake up. Grappling Hook isn't exactly great looking (or efficient) when dragging someone to a cage or something. Maybe enable the Bludgeon to be able to knock out anyone in PVE (does no damage, just increases Torpor). It would help when trying to arrest and punish bad visitors. But... basically almost the entire Piracy Tree is useless. I have abandoned boats in my Harbor that have been there for weeks and I can't even claim them as a pirate! This needs to be fixed. Especially for PVE. Pirates and Captaineering people should be the only ones that can board/claim ships... While they are anchored. Consider each ship has a flag and there should be an appropriate flag timer. Of course Pirates with the last Skill can declaim faster. This will help fix the abandoned boats issues in PVE without having to wait for 3 weeks of inactivity when it only takes 1 spawn to "reset" it for another 3 weeks. Treat each ship as flags, just like land claims. Pirates can claim ships faster. Cannot be claimed until the flag timer runs down due to inactivity. The more ships the company has, the lower the timer is... just like with land claims as they are now. 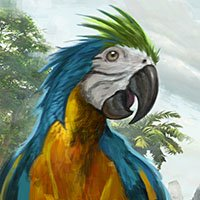 Recover your tames when they fall below decks! So, I figured out how to recover them. Now... when you have a tame on board and you raise the anchor, they sometimes fall through the deck. I figured out that if you drop the anchor, they will often pop back up through the deck. Sometimes I have had to drop the anchor, raise it back up... and then simply rotate the ship left or right without opening sails. They can pop back up through the floor that way. Just play with it a little and they will pop back up. I'm not sure about NPC crew, but even company members have been dropped down a deck or two from raising or lowering the anchor as well. Hope this helps with some of the frustrations. My poor bear was stuck in an incomplete Galleon and I ended up removing several decks before I figured this trick out. demolish Unable to demolish non-company structures after flag takeover. When a player left our company without telling anyone, we had to wait 3 days to capture all the flags that he owned after leaving the company and joining a new company elsewhere. Any structures or foundations that were his... we are unable to demolish, eventhough "Demolish Allowed" is available. I tested this by leaving the company... I placed down a small structure with a bed. Rejoined the company. I was unable to demolish my own placements! I had to wait 3 days before Demolish was allowed. You click Demolish and nothing happens. We can't build anywhere because of this! We own the land! We own the structures that were built before the player left! WE HAVE BEEN WAITING WEEKS FOR THIS ISSUE TO BE RESOLVED! WHEN!? Note: I am the owner of the company. My admins have also tried to demolish... and they get the same result! Nothing happens when you click demolish and you can't build anything anywhere near the foundations or structures until they are removed! Please UPVOTE this issue! bug Unable to demolish other players' foundation on my land. One player left our company over 2 weeks ago. I am unable to demolish the 1 piece of foundation left, when attempting to add on to a raised building above it. It says "Demolish Allowed". I wait the few seconds for the Demolish button to turn green and press it. Nothing happens. I have demolished parts of my building 2 squares away in every direction of the foundation. Note: I am leader of the company. Even some of my admins tried it and got the same result. Nothing happens. We can't build anything in that entire area because if the 1 foundation that we can't destroy and have been trying for the past 6 days.